Sunderland came back from two goals down to earn a point from an entertaining encounter with West Brom. But Sunderland hit back with their own quick-fire double 20 minutes later when Nicklas Bendtner's deflected shot found the net and Ahmed Elmohamady headed in. Sunderland had the best of the second half but were unable to find a winner. 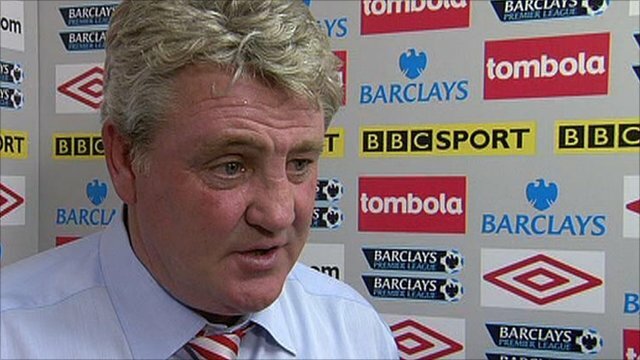 Steve Bruce's side have swung from highs to lows in what has been at best a wildly inconsistent start to the season. They experienced a microcosm of this within the opening 45 minutes at the Stadium of Light. Prior to this match, Albion had only scored three league goals all season, but Wes Brown's lax marking allowed Morrison to head in their fourth from a Chris Brunt free-kick and then, a minute later, the initial squandering of possession and Michael Turner's lack of pace let Long run through to slot in another. It was an impressive opening salvo from the Baggies, especially for a side that have made a poor beginning to what has been an admittedly tough start to their campaign. West Brom have never won a Premier League away game in October, losing seven of their nine fixtures. Their one other draw came last time out away at Old Trafford against Manchester United in October 2010. It shell-shocked the home crowd, who quickly demanded a response, which came midway through the half and in emphatic fashion. Bendtner was central to it at all, firstly firing home, via a deflection off Gareth McAuley, after being teed up by Sebastien Larsson's neat backheel, and then a minute later crossing for Elmohamady to head in an equaliser. It was the first goal either had scored for Sunderland. In truth, four first-half goals was a conservative return from an abundance of scoring opportunities for both sides, but Sunderland goalkeeper Simon Mignolet did well to twice deny Morrison and opposite number Ben Foster saved Larsson's shot on the turn. Dane Larsson also had a goal rightly ruled out for offside. Sunderland's best chances for a winner came from Brown's back-post header, which he put into the turf and over, and an Elmohamady shot from 12 yards palmed away by Ben Foster. Both sides will be disappointed not to have claimed their second win of the season, but in the end each had reasons to be grateful for the point. "It was incredible. An awful start but there was spirit and togetherness there to drag us back into the game. All credit to the players for sticking at it. "We could quite easily have folded today but thankfully they rolled up their sleeves and got back into it. We could even have won it. We had a couple of great opportunities but we just ran out of juice. "There's six or seven players playing their fourth or fifth game here and they know what it is all about now." 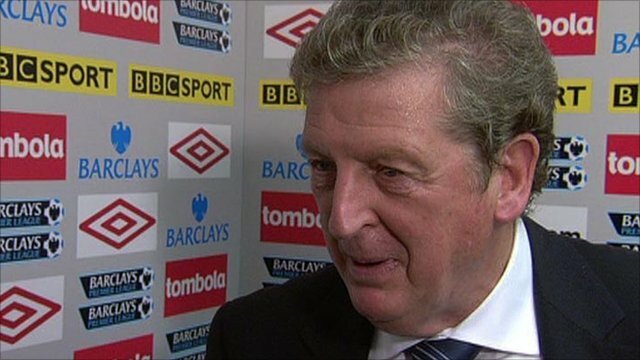 "There were 90 minutes left to play when we were 2-0 up, so the game starts all over again. "I think we should give credit to Sunderland for really mounting a strong challenge and getting over the disappointment of a poor start both in terms of conceding goals and maybe giving the ball away far more than Steve would like in that early spell. "At half-time, it was up to us to get our minds right again and not to think about the fact that we had been 2-0 up, but to make sure that we got ourselves organised enough to get a result in the second half." 90:00+2:17 The game is over, as the referee blows his whistle. 90:00+1:31 Centre by John O'Shea, Jonas Olsson makes a clearance. 90:00+0:14 Substitution David Meyler joins the action as a substitute, replacing Craig Gardner. 87:04 Substitution Jerome Thomas comes on in place of Graham Dorrans. 87:04 Unfair challenge on Paul Scharner by Nicklas Bendtner results in a free kick. Nicky Shorey takes the free kick. 86:12 Foul by Craig Gardner on Peter Odemwingie, free kick awarded. Graham Dorrans crosses the ball in from the free kick, Michael Turner manages to make a clearance. 85:32 Free kick awarded for a foul by Nicklas Bendtner on Jonas Olsson. Free kick taken by Jonas Olsson. 85:14 Steven Reid produces a cross, Simon Mignolet makes a save. 84:54 Centre by Nicky Shorey, Kieran Richardson makes a clearance. 84:01 The ball is sent over by Nicky Shorey, clearance by Michael Turner. 81:58 Peter Odemwingie gives away a free kick for an unfair challenge on Simon Mignolet. Simon Mignolet takes the free kick. 81:16 Substitution Dong-Won Ji is brought on as a substitute for Ahmed Elmohamady. 80:34 The ball is delivered by Steven Reid, Michael Turner makes a clearance. 79:01 The ball is delivered by Jonas Olsson. 78:27 A cross is delivered by Jack Colback, Nicky Shorey manages to make a clearance. 77:50 Outswinging corner taken from the right by-line by Sebastian Larsson. 76:24 Gareth McAuley gives away a free kick for an unfair challenge on Wes Brown. Simon Mignolet takes the free kick. 75:49 Michael Turner gives away a free kick for an unfair challenge on Shane Long. Direct free kick taken by Graham Dorrans. 75:39 The ball is sent over by Craig Gardner, clearance by Steven Reid. 75:02 Unfair challenge on Wes Brown by Peter Odemwingie results in a free kick. Free kick taken by Simon Mignolet. 73:58 Graham Dorrans gives away a free kick for an unfair challenge on Craig Gardner. Kieran Richardson takes the direct free kick. 73:11 Substitution Paul Scharner on for Youssouf Mulumbu. 71:40 Effort on goal by Ahmed Elmohamady from just inside the penalty box goes harmlessly over the target. 70:40 Inswinging corner taken by Sebastian Larsson from the left by-line played to the near post, Nicklas Bendtner concedes a free kick for a foul on Jonas Olsson. Direct free kick taken by Ben Foster. 69:28 Substitution Jack Colback comes on in place of Lee Cattermole. 69:28 Chris Brunt produces a right-footed shot from just outside the penalty box that goes wide left of the target. 68:29 Inswinging corner taken by Sebastian Larsson from the left by-line played to the near post. 66:48 The assistant referee flags for offside against Peter Odemwingie. Free kick taken by Simon Mignolet. Correction - 64:31 Steven Reid fouled by Lee Cattermole, the ref awards a free kick. Ben Foster restarts play with the free kick. 64:31 Lee Cattermole challenges Steven Reid unfairly and gives away a free kick. Direct free kick taken by Ben Foster. Correction - 63:43 The referee penalises Nicky Shorey for handball. Sebastian Larsson takes the free kick. 63:43 Nicky Shorey handles the ball and concedes a free kick. Sebastian Larsson restarts play with the free kick. 63:19 The ball is crossed by Ahmed Elmohamady, clearance made by Nicky Shorey. 61:56 Free kick awarded for a foul by Jonas Olsson on Nicklas Bendtner. Free kick taken by John O'Shea. 58:33 Ahmed Elmohamady takes a shot. Corner from right by-line taken by Sebastian Larsson. 56:47 Craig Gardner has an effort at goal from outside the box which goes wide right of the goal. 56:06 The ball is swung over by Sebastian Larsson. 53:49 Unfair challenge on Kieran Richardson by Chris Brunt results in a free kick. Free kick crossed left-footed by Sebastian Larsson. 52:28 Peter Odemwingie is ruled offside. Simon Mignolet takes the free kick. 50:50 Stephane Sessegnon fouled by Jonas Olsson, the ref awards a free kick. Free kick crossed right-footed by Sebastian Larsson from left channel. 47:02 Unfair challenge on Stephane Sessegnon by Youssouf Mulumbu results in a free kick. The ball is crossed by Sebastian Larsson, Close range header by Wes Brown goes over the bar. 45:46 Unfair challenge on Nicky Shorey by Ahmed Elmohamady results in a free kick. Ben Foster restarts play with the free kick. 45:00+3:14 The match has reached half-time. 45:00+1:26 Centre by Sebastian Larsson, Craig Gardner takes a shot. Save by Ben Foster. 45:00+0:23 Youssouf Mulumbu challenges Lee Cattermole unfairly and gives away a free kick. Craig Gardner takes the direct free kick. 45:00+0:08 Shane Long produces a cross, John O'Shea makes a clearance. 44:25 Shot from outside the box by Craig Gardner misses to the left of the target. 42:49 The ball is crossed by Peter Odemwingie, John O'Shea manages to make a clearance. Corner taken by Chris Brunt. 41:23 Steven Reid crosses the ball, clearance made by John O'Shea. 41:11 Chris Brunt sends in a cross, John O'Shea manages to make a clearance. 38:45 The ball is delivered by Steven Reid, Wes Brown manages to make a clearance. 38:20 Nicklas Bendtner takes a shot. Ben Foster makes a save. 37:31 Header from close in by Gareth McAuley misses to the left of the goal. 35:54 Corner taken right-footed by Chris Brunt. 35:54 Booking Lee Cattermole booked. 35:32 Nicklas Bendtner takes a shot. Save made by Ben Foster. 33:45 Outswinging corner taken by Sebastian Larsson from the right by-line. Unfair challenge on Steven Reid by Lee Cattermole results in a free kick. Chris Brunt takes the free kick. 33:15 Jonas Olsson gives away a free kick for an unfair challenge on Stephane Sessegnon. Stephane Sessegnon takes the free kick. 32:55 The referee penalises Shane Long for handball. Kieran Richardson takes the free kick. 31:30 Steven Reid produces a cross. 29:47 A cross is delivered by Ahmed Elmohamady, save made by Ben Foster. 27:59 Free kick awarded for an unfair challenge on Nicklas Bendtner by Youssouf Mulumbu. Free kick taken by Sebastian Larsson. 25:58 Assist on the goal came from Nicklas Bendtner. 25:58 GOAL - Ahmed ELMOHAMADY:Sunderland 2 - 2 West Brom Ahmed Elmohamady scores a headed goal from inside the six-yard box. Sunderland 2-2 West Brom. 25:15 Unfair challenge on Stephane Sessegnon by Gareth McAuley results in a free kick. Sebastian Larsson restarts play with the free kick. 23:32 The assist for the goal came from Sebastian Larsson. 23:32 GOAL - Nicklas Bendtner:Sunderland 1 - 2 West Brom Nicklas Bendtner finds the back of the net with a goal from inside the penalty area low into the middle of the goal. Sunderland 1-2 West Brom. 19:00 Booking Sebastian Larsson is cautioned. 16:35 Unfair challenge on Stephane Sessegnon by Jonas Olsson results in a free kick. Free kick taken by John O'Shea. Correction - 15:43 Corner from left by-line taken by Graham Dorrans. 15:42 Graham Dorrans takes a inswinging corner. 15:28 Shot from just outside the penalty area by Chris Brunt misses to the left of the target. 13:50 James Morrison takes a shot. 13:07 Effort from the edge of the penalty area by Stephane Sessegnon goes wide of the left-hand post. 10:38 Sebastian Larsson crosses the ball. 8:23 James Morrison takes a shot. Kieran Richardson gets a block in. Corner taken by Graham Dorrans from the left by-line, clearance made by Michael Turner. Correction - 7:17 Outswinging corner taken right-footed by Sebastian Larsson, Sebastian Larsson delivers the ball, Ben Foster makes a save. 7:17 Corner from the right by-line taken by Sebastian Larsson, Centre by Sebastian Larsson, save by Ben Foster. 6:31 The ball is crossed by John O'Shea, clearance made by Steven Reid. 4:42 GOAL - Shane Long:Sunderland 0 - 2 West Brom A goal is scored by Shane Long from inside the area low into the middle of the goal. Sunderland 0-2 West Brom. Correction - 3:33 GOAL - James Morrison:Sunderland 0 - 1 West Brom James Morrison finds the net with a headed goal from inside the six-yard box. Sunderland 0-1 West Brom. 3:33 Assist on the goal came from Chris Brunt. 3:33 GOAL - James Morrison:Sunderland 0 - 1 West Brom James Morrison scores a headed goal from inside the six-yard box. Sunderland 0-1 West Brom. Correction - 3:08 Free kick awarded for an unfair challenge on Shane Long by Wes Brown. Chris Brunt restarts play with the free kick. 1:20 Inswinging corner taken by Sebastian Larsson, Youssouf Mulumbu makes a clearance.